This is a substantial, solid wood frame, and I'm really pleased with the dimensions and quality. I think the color is more of a warm brown than the picture represents - I was afraid it would be more metallic, but the brush strokes are subtle, not shiny, and don't compete with the painting. I'm very happy with it and I think I'll be framing most of my work with this style. It's also wide and gives the painting a nice presence on the wall. Excellent Frame for still-lifes or landscapes. Goes well with traditional or modern styles. Picked this frame for my small (10x8) painting. The flat profile has feel of modern and I think it was a good choice. A lovely frame that compliments my new painting. Had wondered if the colors seen on the website would really match. They did. 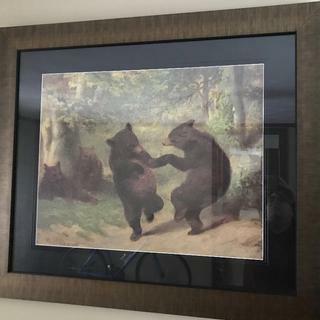 We wanted to update one of our favorite prints "The Dancing Bears by William Beard" which we purchased sometime in the late 1980's. It was stylized for a traditional 1980's home and we wanted to update it for the log cabin we will be retiring too. We couldn't be happier with the result and we saved a substantial amount of money updating it ourselves rather than bringing it to a framing store. We ordered two, one for an oil on canvas, the second for a print so matted with acryllic non glare glass. Both look fabulous. Will definitely use you guys again and will recommend to friends. any decor or most any artwork. Hello Carmallo. Thank you for your review. I reached out to you by phone hoping to speak with you regarding the corners of the frame. Our frames are custom cut and crafted by hand by our frames in hopes to avoid any imperfections. 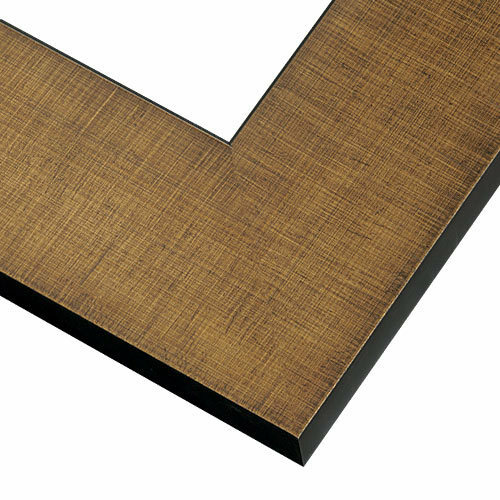 While the corners are not made seamless, the corners are constructed very tightly. If your client is not completely satisfied with the frame, please allow us to replace the frame free of charge. I have left you a voicemail asking how you would like to proceed. Please give me a call when you have the opportunity. Thank you again for your business! We are reframing "The Dancing Bears" by William Beard from a traditional cherry frame and cream mat (1980's frame and mat). We are moving to a log cabin and have decided to go with this frame and a black mat. We are hoping for a more up to date country farmhouse kind of feel. Simple. Looking for simple dark bronze frame but unable to find it. This is the closest that I have found. A good metallic/wood alternative to bright gold, changes color with light, nice wide contemporary profile. I was very happy with this frame in the past, because it's weighty, neutral & simple, and doesn't interfere with the image. 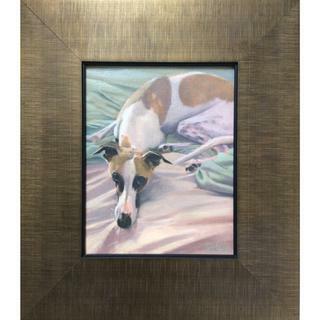 I love the contemporary yet elegant look of this frame!